Damn...Trophy Room Sold Out Quick. When J23 sent the notification, it was already sold out. On within 2 seconds and it was cooked. I got a size 12 to the cart and hit ApplePay but it gave an error that it couldn't be processed. Did it twice and tried PayPal to then have it say Out of Stock. Locals had first crack at it via web password. Whatever was leftover after a particular time was leftovers. No wonder. I got on pretty quick, def within a minute of the j23 notification, and was caught in queue. Filled in info but sold out on last page. I had my phone in hand when notification came out. 1 sec within J23 notification and everything oos. I really wanted these too. tezz016gmail, aka dabigkahuna, greatabyss43 and 1 other person like this. what do you think about a trade for DS Black levis for DS Concord lows? JustSid, Ewing206, ARK and 1 other person like this. bruce bruce, aka dabigkahuna and pmtotheam like this. Jordan4Addict, Ewing206 and diorandjordans like this. Shorty that did those, killed it. I tried some diluted bleach, 1/3 bleach and 2/3 water in a spray bottle on a pair of old jeans first and it was working very slow. So for the shoes, I just dumbed the bleach in a small container, and then used a Jason Mark brush to get it wet and scrub it in. I sprayed the shoes wet before applying the bleach, so not sure if this helped or not. I did about 2-3 quotes and kept checking it every 20 minutes, then applied more where needed if it looked too dark still. Once I was done I used a different brush without the bleach and scrubbed with soap and water. The soap and water should stop or cure the bleach. Also if they dry the bleach should be cured. After this clean I threw them in the wash on cold and just did a rinse cycle. They still smell a little like bleach, so I might wash them once more once I am done. Someone broke into my car and stole my Levi 4s out of the trunk while vacating with the fam. On the hunt to replace them asap. 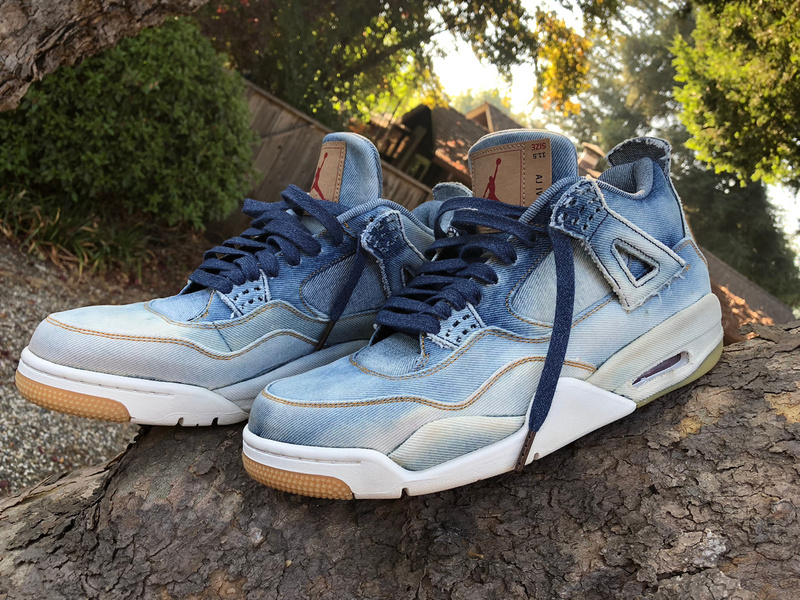 If anyone knows where I can cop a size 13 for less than StockX/GOAT prices please lmk. Do these look good to you guys? I havent seen any of the boxes that came tag like that. 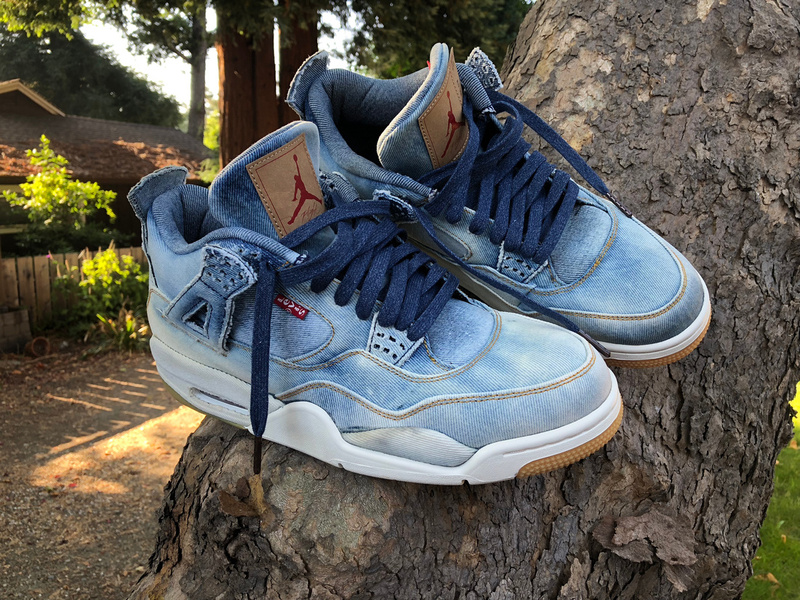 Did levis have their own drop for these? ^ I hope you can send those back and get back your money. Those are FFF grade quality fake, fugazi, fufu! ^ I’ve seen those tags before. Usually they’re on a promo product. Doesn’t necessarily mean the pair itself is fake.